Google Play Music is a great way to listen to tunes from artists you love, whether it's by purchasing albums and tracks individually or subscribing to unlimited monthly streaming. It is, however, limited by the number of countries it's available in. Today marks its arrival in two new countries in opposite hemispheres of this planet: South Africa and Serbia. Residents in both countries can now buy albums and tracks in their regular currencies and subscribe to GPM Unlimited ($4.99 in Serbia and R49.99 in South Africa) with two free months offered up front so they can see if the service fits them or not. This is only the second Play service that comes to Serbia. Previously, the country just had access to Apps and Games. Music had appeared on the Play Store twice before, but they were short-lived attempts that got removed soon after and never allowed for purchases or subscriptions. 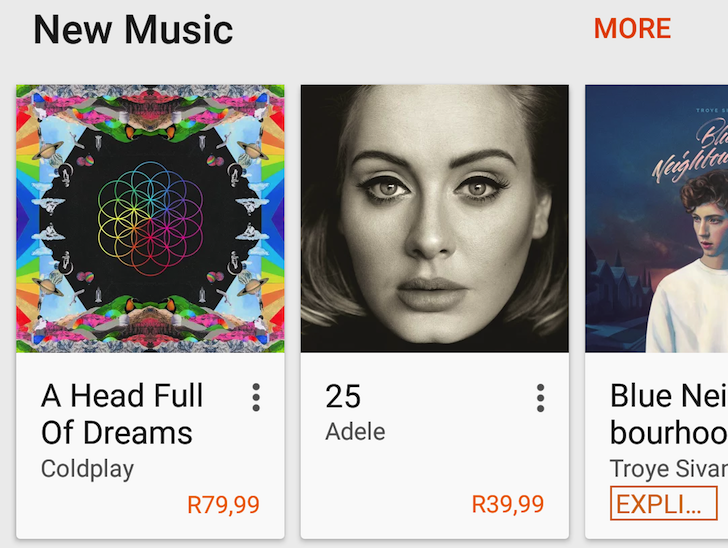 As for South Africa, Music now joins Books and Apps/Games in their Play Store.